2012 Kubota U48-4 with low hours. This digger has been fully checked through and serviced. Fitted with new rubber tracks, quick hitch and new bucket it is absolutely mint throughout. 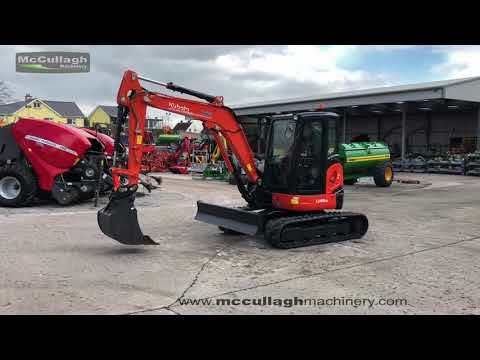 To make an enquiry about 2012 Kubota U48-4 call us on ROI 048 6634 8213 | NI 028 6634 8213.